Good old fashioned rivalry game, but the reason it makes the list is because Greg Jennings will make his return to Lambeau Field. They booed Brett Favre when he returned in purple. Jennings will get booed for sure. This game features two of the most dynamic dual threat QBs in the game. Cam Newton has been brilliant at times and not shaky at others through his first two years, he must become more consistent to get Carolina into the playoffs. Who better to see him against than a top defense? Colin Kaepernick is out to prove last year was no fluke and that he’s the man in San Francisco. Pretty simple on this one. Andy Reid returns to Philadelphia after fourteen years and numerous playoff appearances. We also will get to see Chip Kelly‘s new offense. Simple star power here- RG3 will be healthy by this time (assuming he doesn’t get hurt again), and Adrian Peterson for Minnesota. Both of those guys have suffered recent ACL injuries. ACL bowl? Pretty simple here- Manning Bowl III. Rematch of the NFC title game, on Monday night in a game that could be crucial in determining playoff position. How does Detroit get up here? Well, it is a Thanksgiving game, and the Lions have this guy, who’s kind of a big deal. I also think Detroit will be much better this coming season after having a down year in 2012. This could be a pivotal game in the NFC east. Not to mention these two have developed a pretty intense rivalry in recent years, and the Romo-Eli comparisons will never end. If you like passing offense, this one is for you. Two bad secondaries and two loaded passing attacks. Kicker here- Tom Brady could tie Drew Brees‘ record of 54 straight games with a TD pass if he throws one in this one (assuming he throws TDs in each game until this one). 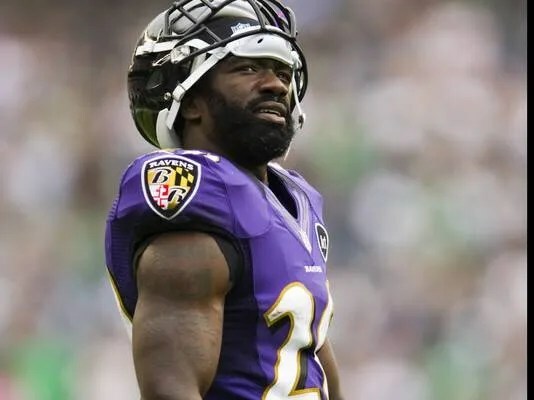 Ed Reed coming back to Baltimore will be the headline in this one. But these two teams are powers in the AFC and this game could have early playoff implications. The rivalry in the Deep South should be enough to get it on this list. But think about the rest this game has to offer. It’ll be Steven Jackson‘s first game in a Falcons uniform. It’ll be Sean Payton‘s first game back from suspension and Rob Ryan‘s first chance to trot out his reconstructed defense. Peyton vs. Brady again, and now Wes Welker is going to be catching passes from the former instead of the latter. Not much needs to be said. Forget the big markets on the East Coast, these two staged the signing war of the offseason. Seattle added Percy Harvin, Michael Bennett, Cliff Avril and Antoine Winfield, among others. The 49ers countered with Anquan Boldin, Glenn Dorsey and Nnamdi Asomugha among others. The 49ers also likely remember the beatdown they took in Seattle late last season. Early chance for some revenge. The Sheriff goes back to the house that he built. I don’t think there will ever be a warmer reception than the one he will get on that day. For the first time Peyton will get to play against the guy who Indianapolis chose over him in the 2012 offseason. The Indianapolis Colts and the Washington Redskins will be starting their 2012 NFL season with new, young quarterbacks (Andrew Luck and Robert Griffin III) obtained with the first two picks in the NFL draft. However, one of these franchises is much more adept at this process. Disregarding last season since Peyton Manning was injured, the Colts have started one man (Manning) at quarterback over the past 14 seasons. The Redskins have started 14 men at quarterback over the past 14 seasons. Peyton Manning holds the record for most Associated Press MVP awards, winning this award four times (2003, 2004, 2008, 2009). He has been selected to the Pro Bowl 11 times, giving him the fourth most selections all-time. He is the Indianapolis Colts all-time leader in career wins (141), passing touchdowns (399), pass attempts (7,210), pass completions (4,682) and passing yards (54,828). He brought the Colts their first championship in Indianapolis in Super Bowl XLI, where he was named the Super Bowl MVP. As the season is winding down, many pundits have been wondering if the Packers were going to go 16-0. An injury-plagued Chiefs team that just fired their head coach didn’t seem like much of a challenge, and this probably was not picked as the upset of the week by very many experts. But the Packers came out flat, and Aaron Rogers and company suffered their first loss of the year. Green Bay is still the NFC favorite, but some might begin to wonder if this team can maintain such a high level of play all the way through the Super Bowl. On the heels of the last undefeated team going down, the league’s last winless team finally found the “W” column on Sunday. Obviously the loss of Peyton Manning has devastated the Colts, but many have begun questioning the team’s heart due to some of the nature of their losses. This win showed that they do have some pride left, and they manage to avoid becoming only the second team to go 0-16. Ironically, the quarterback that led Indianapolis to victory was Dan Orlavsky who helmed the Detroit Lions in 2008 when they became the only team to achieve that dubious 0-16 record. The Giants had a thrilling victory over their hated rivals last week and took command of the NFC East behind the arm of Eli Manning. Then just like that, the Cowboys won on Saturday night, and the Giants laid an egg back in New York with Manning throwing 3 interceptions. Washington looked like the playoff team with their defense preventing the Giants from scoring a touchdown until about 30 seconds left in the game. Next week the two New York teams square off against each other, and if the Jets come out on top, the Giants playoff dreams might be over. The most hyped game of the week ended up being a pretty strong statement game for Tom Brady and company. The Patriots went into the mile-high city and came out with a win and the AFC East division crown with the Jets simultaneously falling to the Eagles. New England actually came out flat and was outgained on the ground 167 yards to 4, but they seized momentum in the second quarter and didn’t look back. The Broncos lost for only the second time since Tim Tebow became a starter, although the QB sensation had a pretty good day throwing for 194 yards and rushing for 2 touchdowns. Denver still leads their division, but both Oakland and San Diego are only 1 game back waiting to seize the lead should the Broncos slip over the next two weeks.